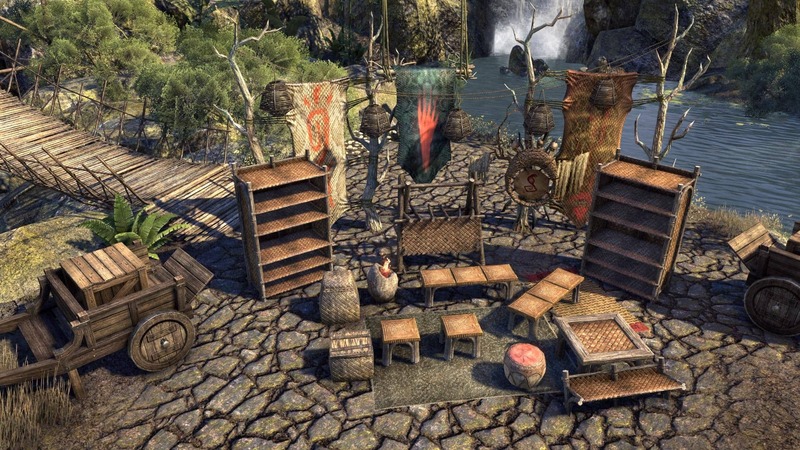 You can check out all the items currently on sale on the Crown Store page, but don't forget that in order to pick up these items you’ll first need to acquire Crowns from the Buy Crowns page. All ESO Plus members have access to a monthly selection of exclusive deals and items. You can find more information about them in this article and preview this month’s ESO Plus-exclusive items below! A miniature statue of the Daedric Prince Azura, bearing Moon and Star sigils. Add her to your collection of statues! 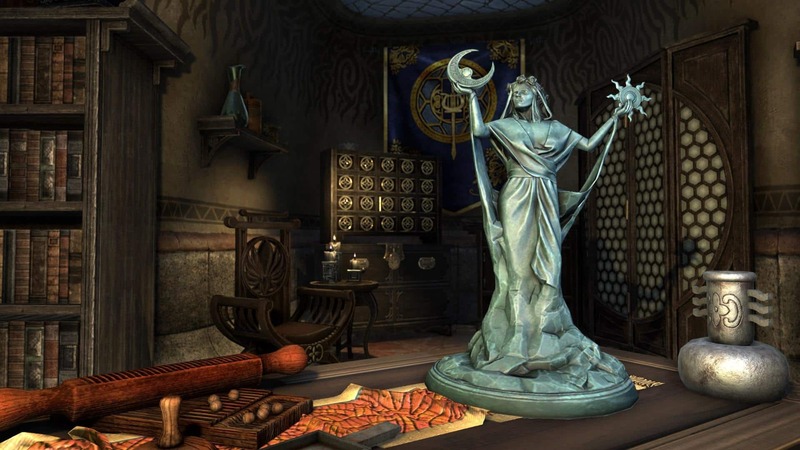 The Azura, Moon and Star Statuette will be available in the Crown Store FREE, exclusively to ESO Plus Members on all platforms for a limited time, from April 4 to May 2 at 10am EDT. 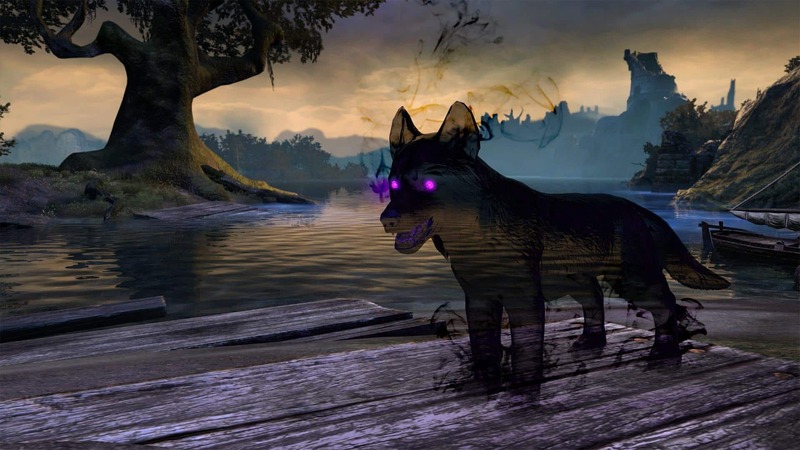 The uncanny Gloam Wolf hails from the Oblivion plane of the Daedric Prince Nocturnal. 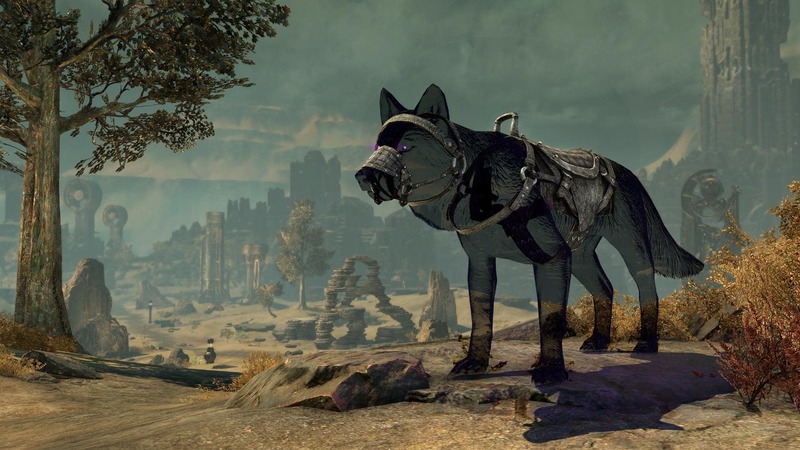 Sometimes, the Night Mistress will reward a loyal Tamrielic worshiper with a Gloam Wolf Mount sent permanently to Nirn. The Gloam Wolf mount is a Crown Gem exclusive. 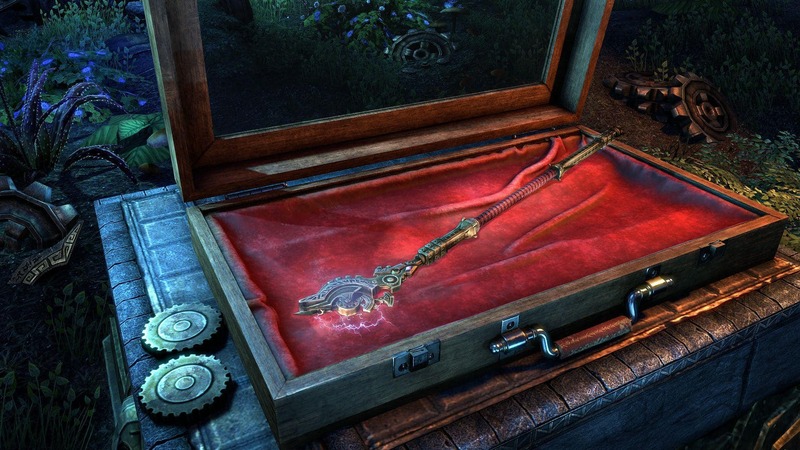 It will appear in the Limited Time Offers in the Crown Store’s Crown Crates category for a limited time on all platforms during the ESO 5-Year Anniversary Event, from April 25 to May 9 at 10am EDT. Hailing from Nocturnal's Oblivion realm of Evergloam, the Gloam Wolf Cub seems to oscillate like an optical illusion between adorable and sinister. The Gloam Wolf Cub pet is a Crown Gem exclusive. 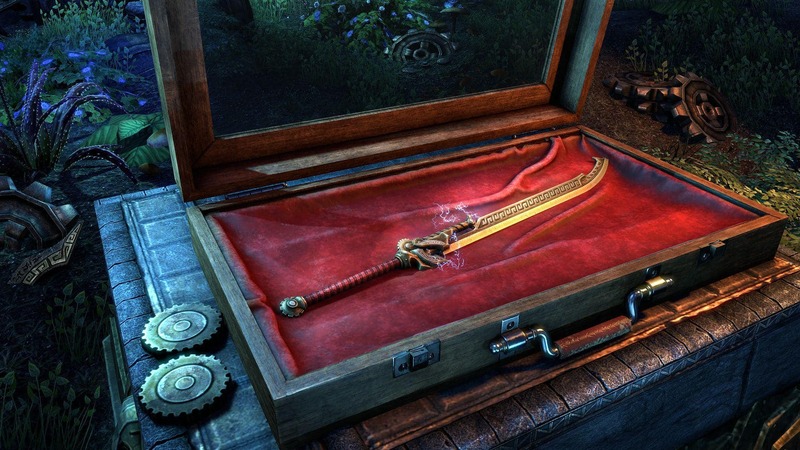 It will appear in the Limited Time Offers in the Crown Store’s Crown Crates category for a limited time on all platforms during the ESO 5-Year Anniversary Event, from April 25 to May 9 at 10am EDT. 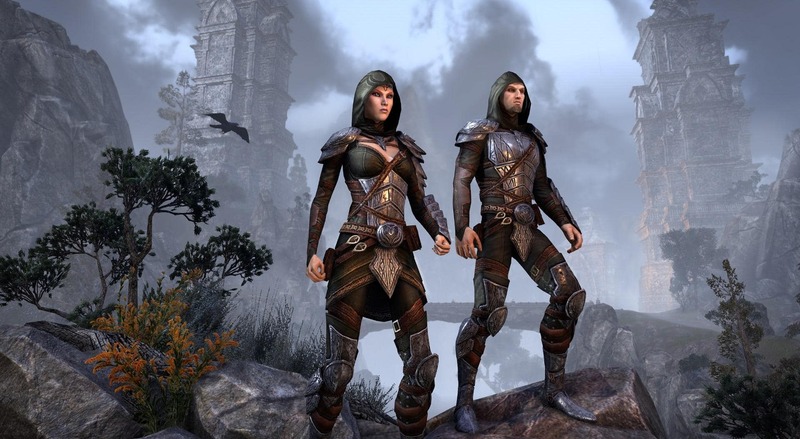 The Breton Hero costume will return to the Crown Store for a limited time on all platforms during the ESO 5-Year Anniversary Event, from April 4 to April 11 at 10am EDT. ESO Plus members will receive a discount on this item. 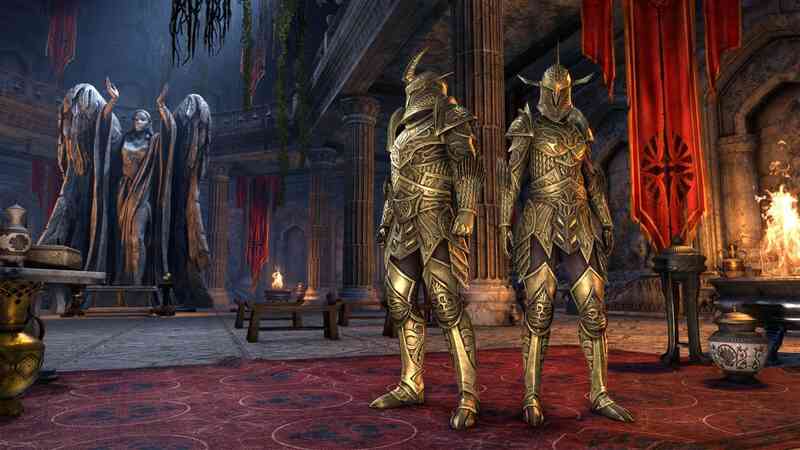 The Elven Hero costume will return to the Crown Store for a limited time on all platforms during the ESO 5-Year Anniversary Event, from April 4 to April 11 at 10am EDT. ESO Plus members will receive a discount on this item. 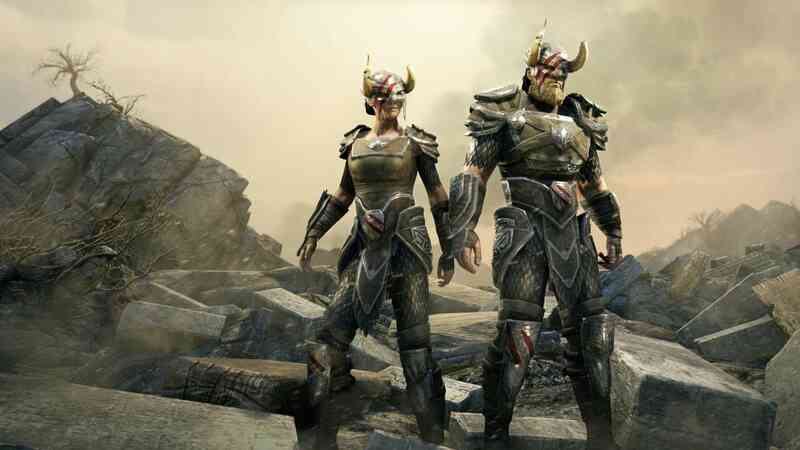 The Nord Hero costume will return to the Crown Store for a limited time on all platforms during the ESO 5-Year Anniversary Event, from April 4 to April 11 at 10am EDT. ESO Plus members will receive a discount on this item. In celebration of ESO’s 5-Year Anniversary, ESO Plus members will receive a discount on this item from April 11 to April 18 at 10am EDT. In celebration of ESO’s 5-Year Anniversary, ESO Plus members will receive a discount on this item from April 18 to April 25 at 10am EDT. This is one in a series of weapon Outfit styles inspired by legendary Elder Scrolls Artifact weapons. 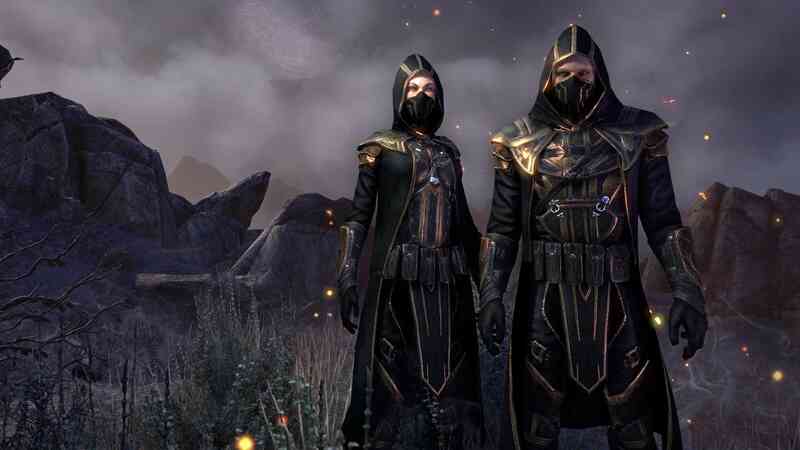 The Elder Scrolls Artifact: Spellbreaker Outfit style will be available in the Crown Store on all platforms for a limited time from April 9 to April 11 at 10am EDT. 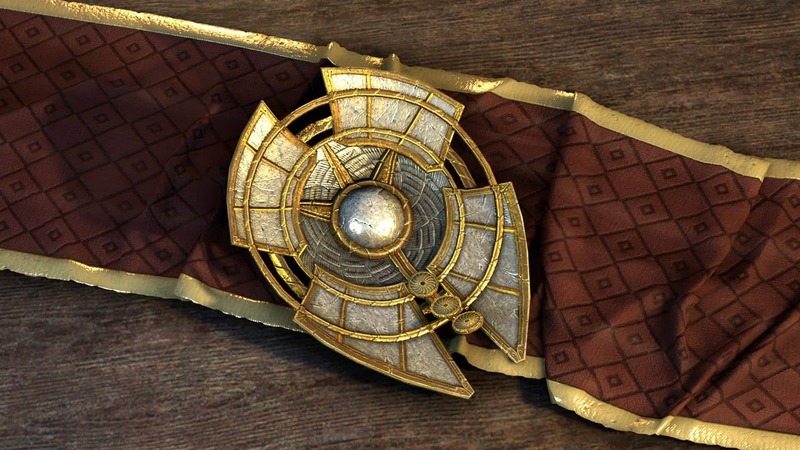 This includes a complete set of Outfit styles for Engine Guardian weapons that match the Undaunted awards. These styles can remind you of happier times—such as when you defeated the giant Dwarven Spider behind the door to Rkugamz in Darkshade Caverns. The Engine Guardian Arms Pack will be available on all platforms for a limited time from April 24 to May 29 at 10am EDT. During the same time period, the Engine Guardian Mask Style Page will have a chance to drop from the final boss in the Veteran Darkshade Caverns II dungeon, and the Engine Guardian Shoulder Style Page will have a chance to drop from Maj al-Ragath’s Undaunted Chest. See this article for full details on the Monster Outfit Styles. A ticket used to purchase rare goods from The Impresario, Event Merchant. Curious as to what goods? Well, chat with her to see what she has to offer! 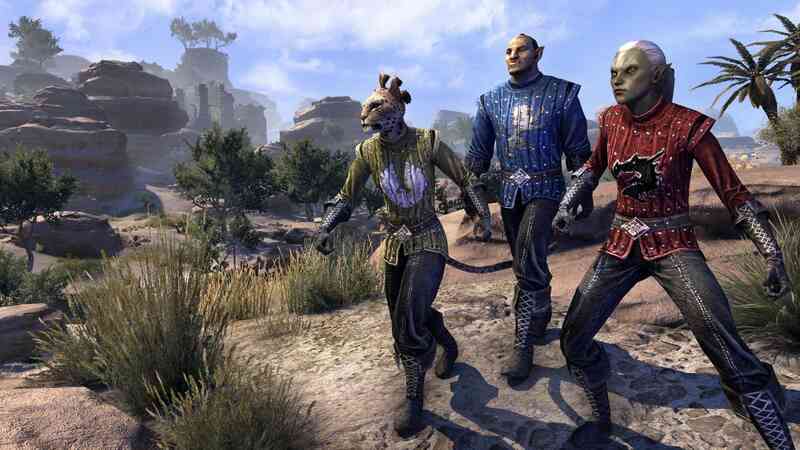 Single Event Tickets will be available in the Crown Store on all platforms during the ESO 5-Year Anniversary Event from April 4 to May 9. Event Tickets are also giftable to other players from within the Crown Store. When activated, this music box plays anarrangement of the Ebonheart Pact "Hinterlands" composition. 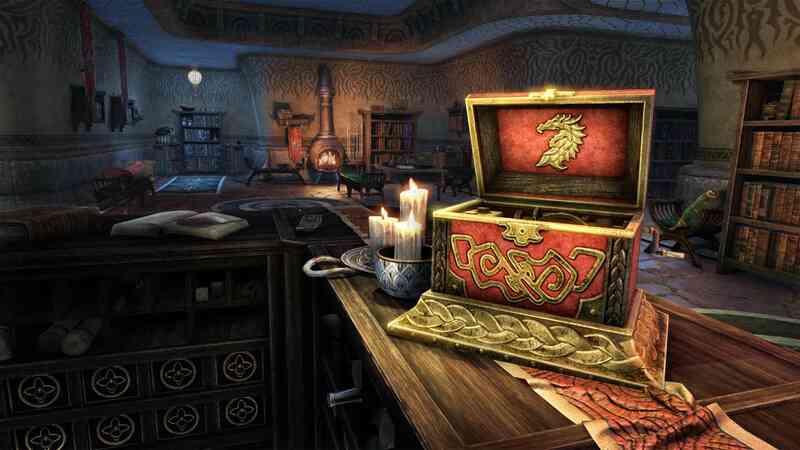 The Music Box, Hinterlands will be available in the Crown Store on all platforms for a limited time from April 4 to April 11 at 10am EDT. 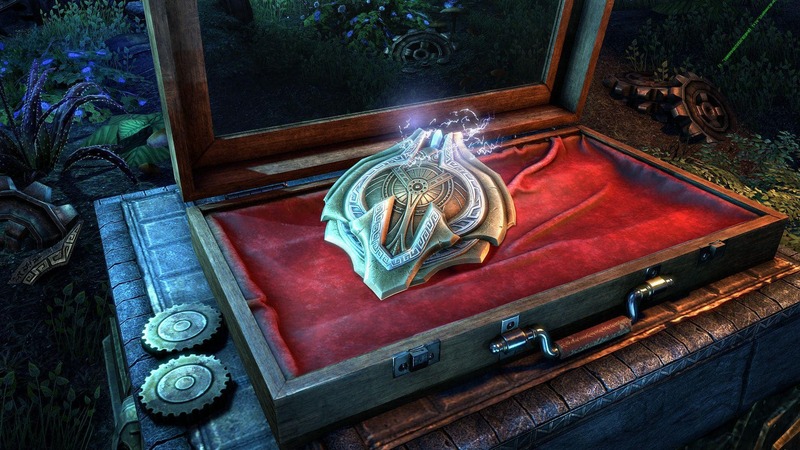 When activated, this music box plays an arrangement of the Daggerfall Covenant "Sands of the Alik'r" composition. 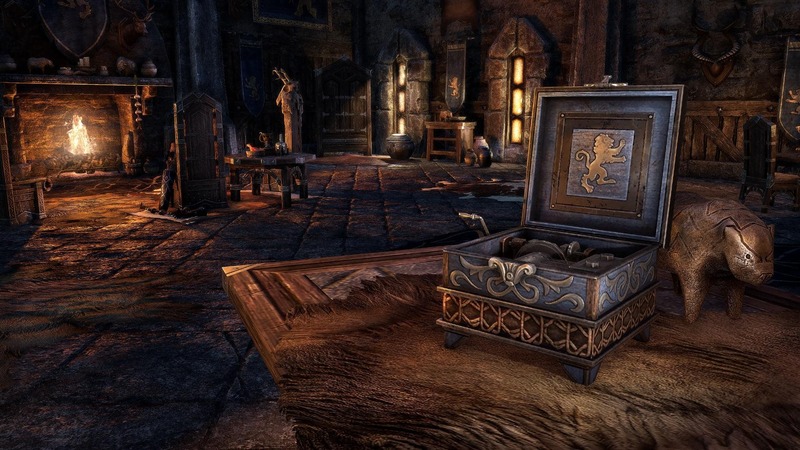 The Music Box, Sands of the Alik’r will be available in the Crown Store on all platforms for a limited time from April 4 to April 11 at 10am EDT. When activated, this music box plays an arrangement of the Aldmeri Dominion "Y'ffre in Every Leaf" composition. 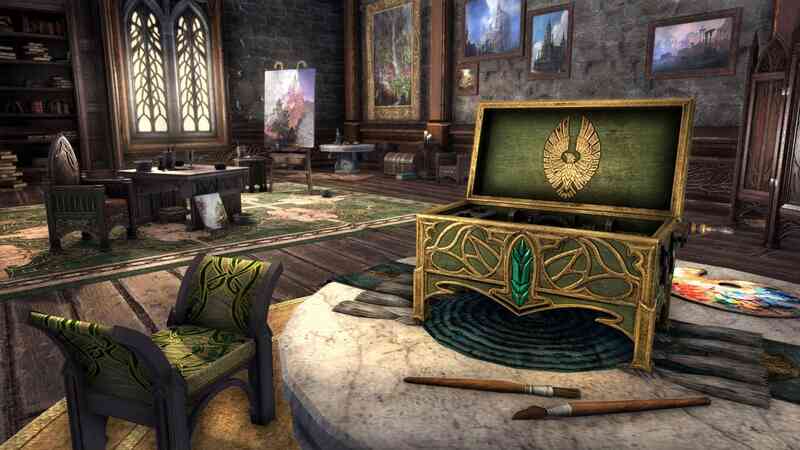 The Music Box, Y’ffre in Every Leaf will be available in the Crown Store on all platforms for a limited time from April 4 to April 11 at 10am EDT. 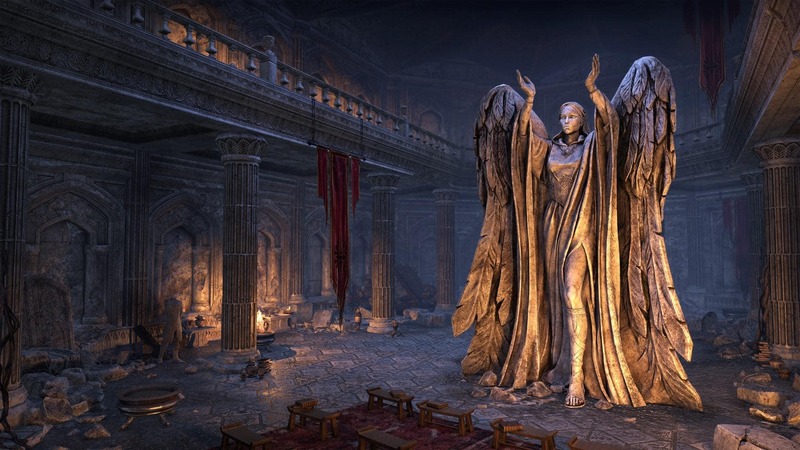 The Meridia, Lady of Infinite Energies Statue will be available in the Crown Store on all platforms for a limited time from April 11 to April 18 at 10am EDT. A selection of household necessities that will give your tropical lair that comfortable and lived-in look. 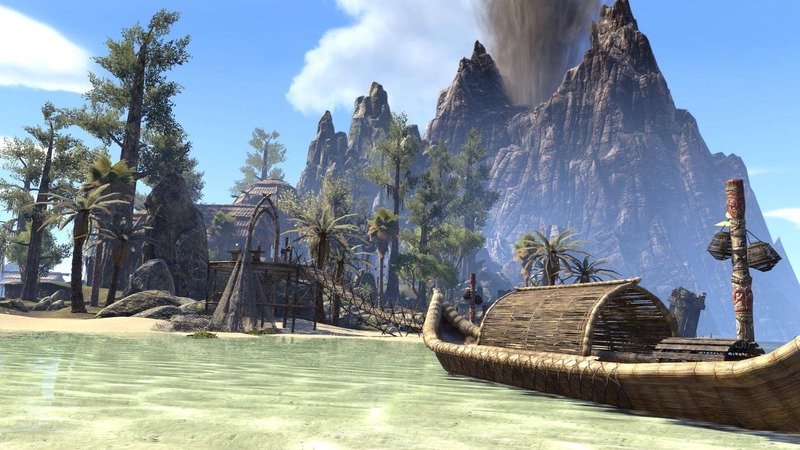 The Island Assortment Household Pack will return to the Crown Store for a limited time on all platforms during the ESO 5-Year Anniversary Event, from April 18 to April 25 at 10am EDT. 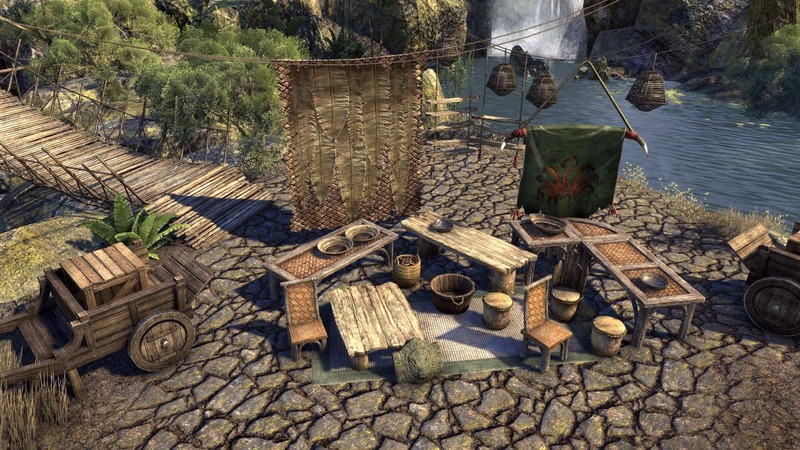 A selection of kitchen furnishings drawn from cultures across southern Tamriel, ideal for the Grand Topal Hideaway. The Island Cuisine Kitchen Pack will return to the Crown Store for a limited time on all platforms during the ESO 5-Year Anniversary Event, from April 18 to April 25 at 10am EDT. A selection of living room furnishings hand-picked to complement the architecture and setting of the Grand Topal Hideaway. 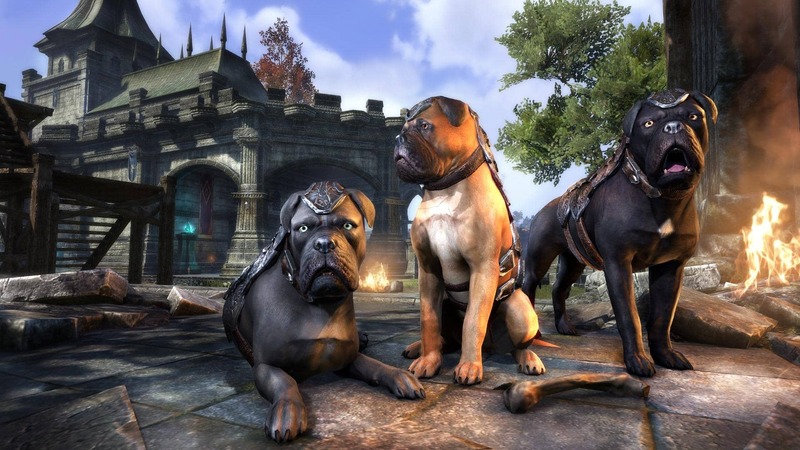 The Island Hideaway Parlor Pack will return to the Crown Store for a limited time on all platforms during the ESO 5-Year Anniversary Event, from April 18 to April 25 at 10am EDT. 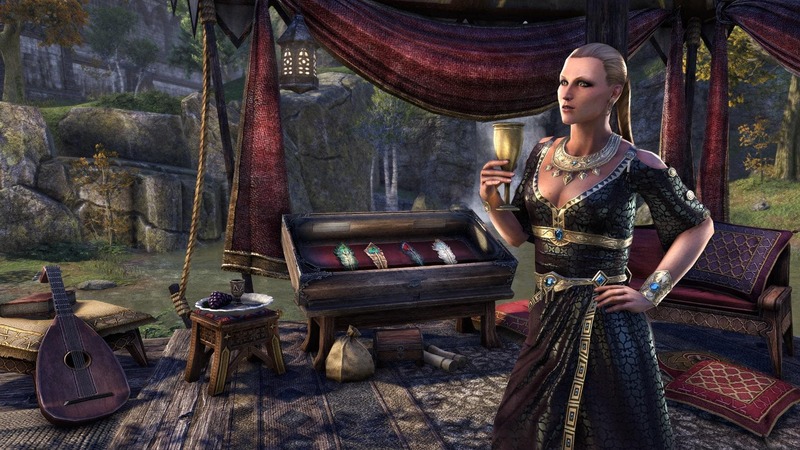 After a rough day in Tamriel, relax in splendor on your tropical furnishings as the soft Topal breezes rustle the thatch of your luxurious hideaway’s roof. Aah! 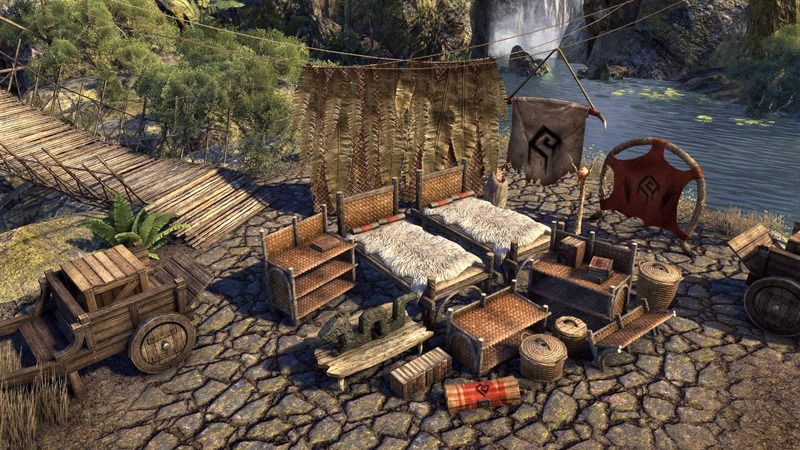 The Island Nights Bedroom Pack will return to the Crown Store for a limited time on all platforms during the ESO 5-Year Anniversary Event, from April 18 to April 25 at 10am EDT. Are you ready for the last word in luxury? Two words: bamboo gazebo. You probably think only the mad masterminds of vast criminal organizations have their own private tropical islands. Well, think again: you, too, could have a hidden hideaway ever-trembling on the verge of volcanic destruction! 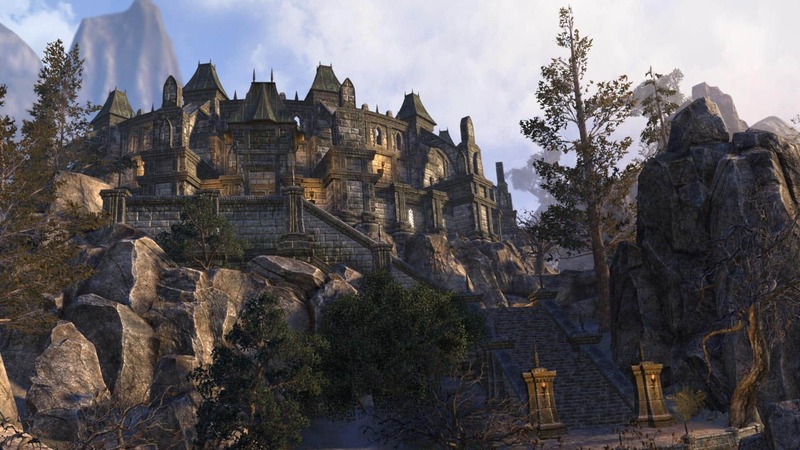 The Grand Topal Hideaway will return to the Crown Store for a limited time on all platforms during the ESO 5-Year Anniversary Event, from April 18 to April 25 at 10am EDT. Furnished and unfurnished versions will be available. Pit Fighting promoter Crottus "Thumbs-Down" Lycus built this private arena atop the haunted ruins of Molavar because the land was cheap, and what could go wrong? He vanished mysteriously some time ago, and now his unique Arena Home is back on the market. The Elinhir Private Arena will be available in the Crown Store for a limited time on all platforms from April 25 to May 9 at 10am EDT. Furnished and unfurnished versions will be available. 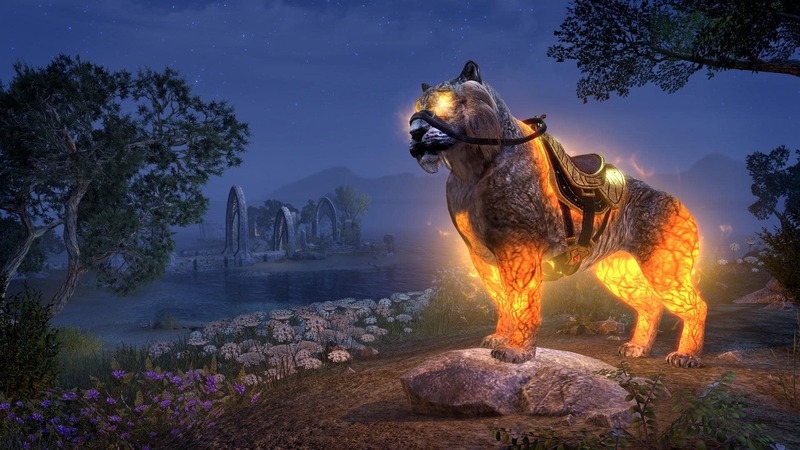 The Meridian Sabre Cat mount will be available in the Crown Store on all platforms for a limited time from April 11 to April 18 at 10am EDT. 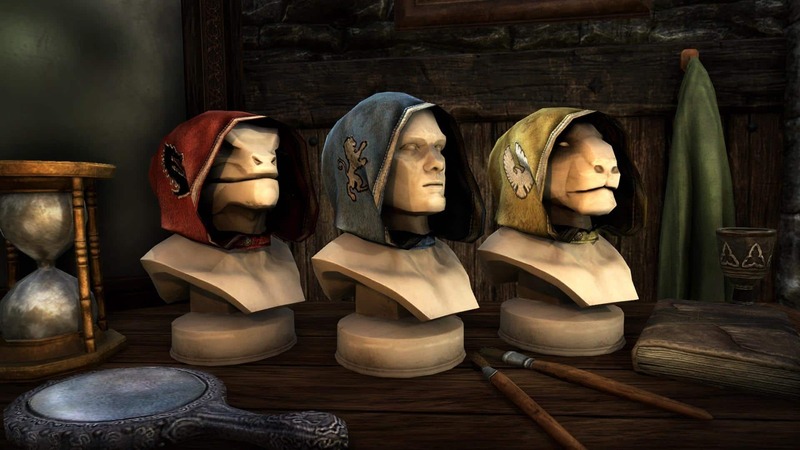 The many multicolored eggs of Tamriel are valuable for their differing alchemical properties, and this makes the Egg Hunter's job a profitable one, especially in the spring. Add this mount to your stable today! 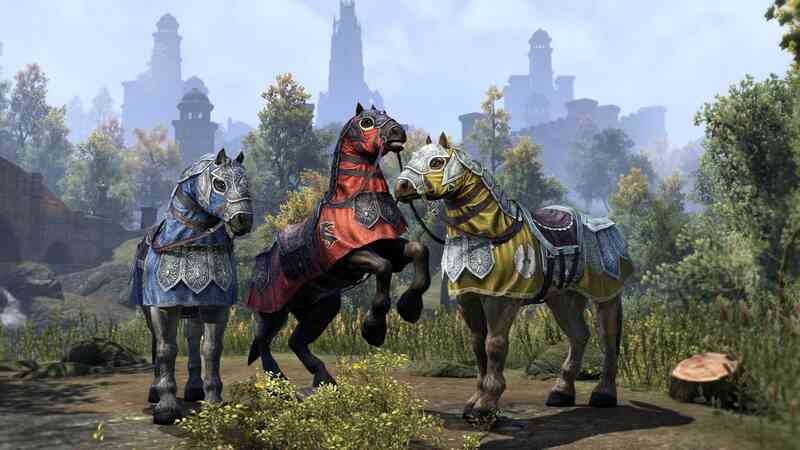 The Egg Hunter’s Horse mount will be available in the Crown Store on all platforms for a limited time from April 18 to April 25 at 10am EDT. (Your character does carry a festive egg basket while mounted on this steed!) Keep an eye out for the companion pet, called Mara’s Spring Chicken, that’s coming as a daily reward in April, too! The Meridian Sabre Cub pet will be available in the Crown Store on all platforms for a limited time from April 11 to April 18 at 10am EDT. This skin gives the wearer the appearance of those tragic mortals whose will and mentality have been stolen by Molag Bal. Do you seek to blend into their number while traversing Coldharbour? Now you can! 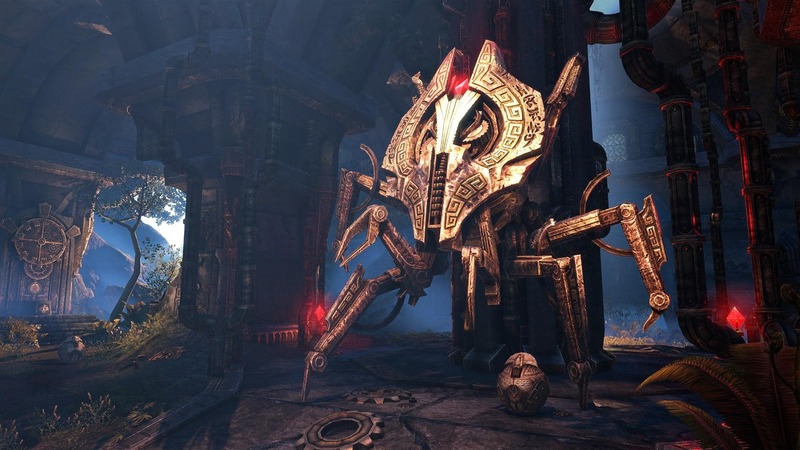 The Mind-Shriven skin will return to the Crown Store for a limited time on all platforms during the ESO 5-Year Anniversary Event, from April 18 to April 25 at 10am EDT. 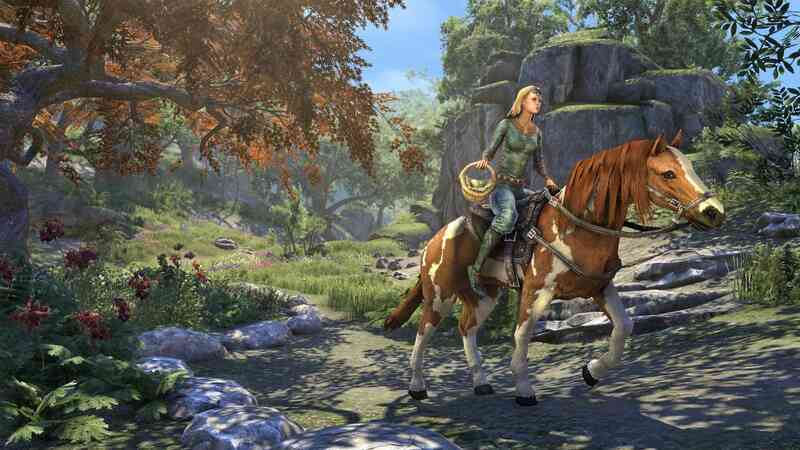 ESO Plus members will receive a discount on this item. 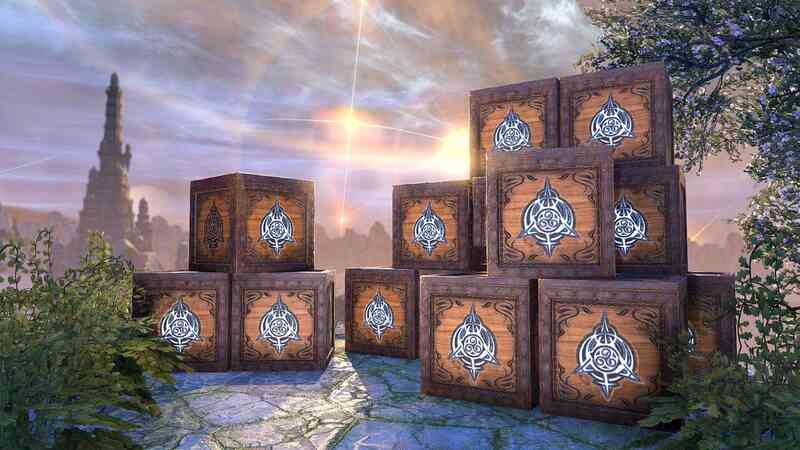 The Psijic Vault Crown Crates will return to the Crown Store for a limited time on all platforms during the ESO 5-Year Anniversary Event, from April 25 to May 9 at 10am EDT. 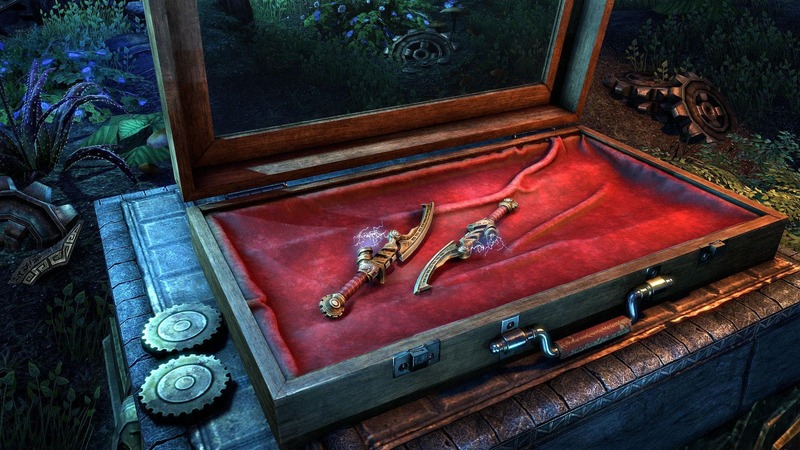 The Psijic Vault items will also be available for purchase with Gems during this period (except for Radian Apex items). If you’re looking for new ways to show your dedication to the Lady of the Infinite Energies, the Night Mistress, or your chosen Alliance, there’s bound to be something for you coming to the Crown Store in April. 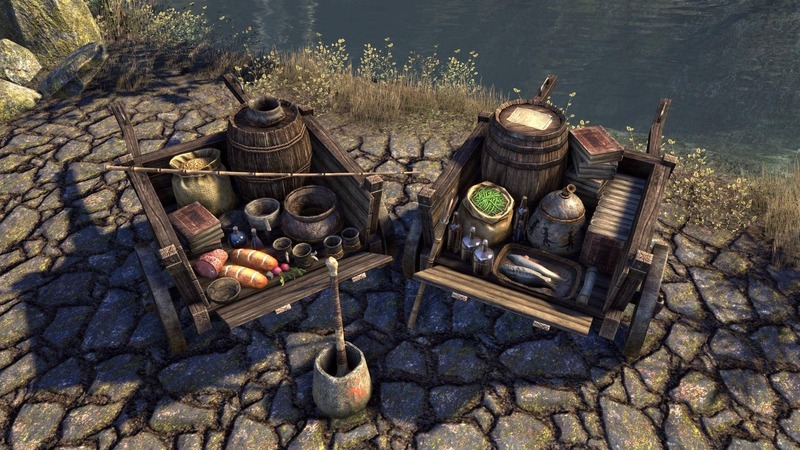 Don’t forget, you can see everything that’s currently available (and leaving soon) on our Crown Store page. 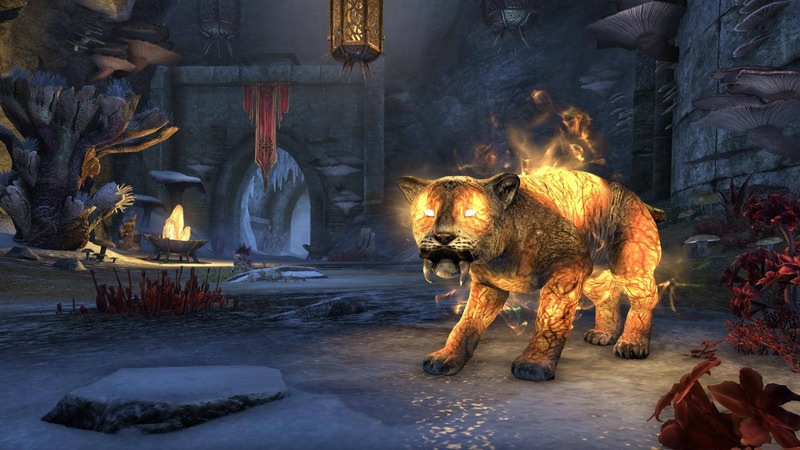 Do any of the new ESO Plus deals and Crown Store items catch your eye? 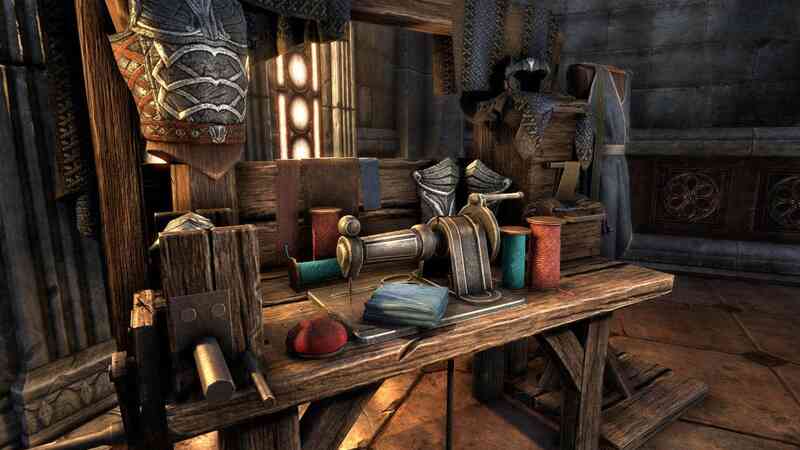 Tell us on Twitter @TESOnline and Facebook!